When you’re looking for a reliable Atlanta moving company, look no further than Air-Land-Sea Van Lines. Since 1994, we’ve made it our family-owned and operated mission to provide a superior moving experience. Whether you are planning a residential, commercial, or government move, customer satisfaction is our top priority. Our professionally trained and certified crew of Atlanta movers is dedicated to going the extra mile to ensure every customer enjoys a stress-free relocation. Professional movers, fair pricing, and outstanding customer service are a few things that set us apart from other Atlanta moving services. For professional long-distance and local movers, Atlanta residents turn to ALS Van Lines. For nearly 25 years, ALS Van Lines has built a solid reputation—one move at a time. We’ve earned ProMover status, A+ accreditation with the Better Business Bureau, and we are considered one of the best movers in Atlanta. Whether you’re moving down the street or across the country, you don’t want to choose just any moving companies. Atlanta residents can turn to us for the courteous service they deserve and the competitive pricing they need. As a premier Atlanta moving company, ALS Van Lines is committed to customer support. To ensure that our clients are completely satisfied with our services, we assign a dedicated Move Coordinator to every project we take on. Your Move Coordinator will provide you with a written estimate of all moving costs as well as continuous support and guidance throughout the entire process. 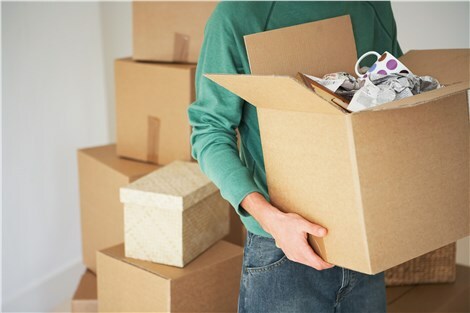 Whether you're moving your household or your business, we have the resources, experience and support to get you settled and on with life as quickly as possible. ALS Van Lines provides accurate, in-home estimates with no hidden charges, so you won’t have to worry an unpleasant surprise on the final invoice. We provide comprehensive moving services, so we can take care all of the moving-day details. We also provide both short-term and long-term storage in our secure warehouse facility. For a hassle-free relocation provided by professional movers, choose ALS Van Lines. Give our Atlanta moving company a call today to speak with a relocation specialist, or fill out our simple online form to request a free, no-obligation estimate.